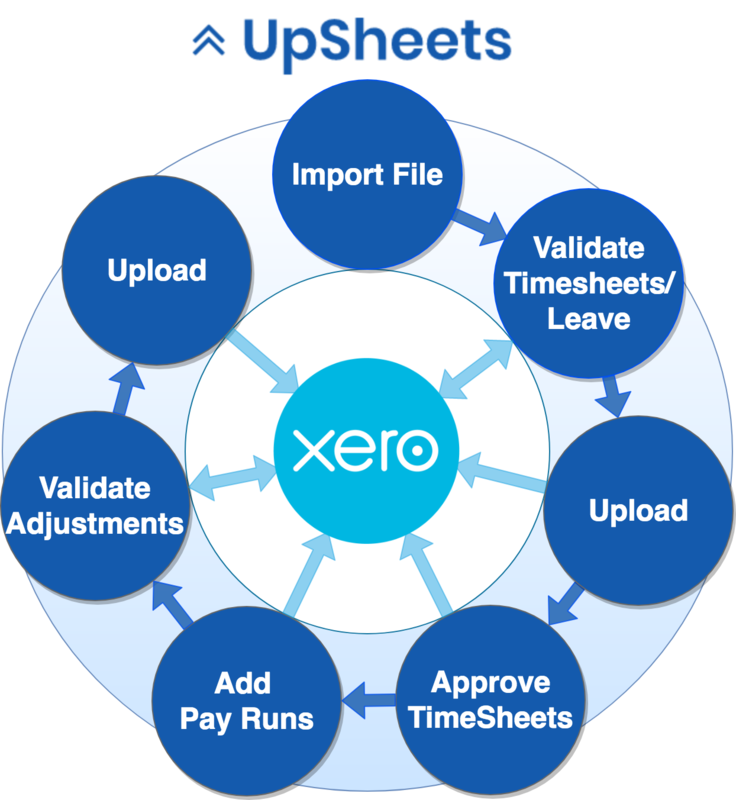 The following diagram illustrates the process and how UpSheets works after logging in and connecting to Xero. 1) Import a file to UpSheets containing Timesheets/Leave Applications. 2) Validate TimeSheets/Leave with data held in Xero. 3) Upload validated Timesheets and Leave Applications to Xero. 4) Approve Timesheets uploaded to Xero (optional). 5) Add Pay Runs in UpSheets to create them in Xero (optional). 6) Validate Adjustments contained in the file (Earnings, Reimbursements, Deductions, Leave Accruals). UpSheets requires a number of data elements from Xero in order to validate uploads. 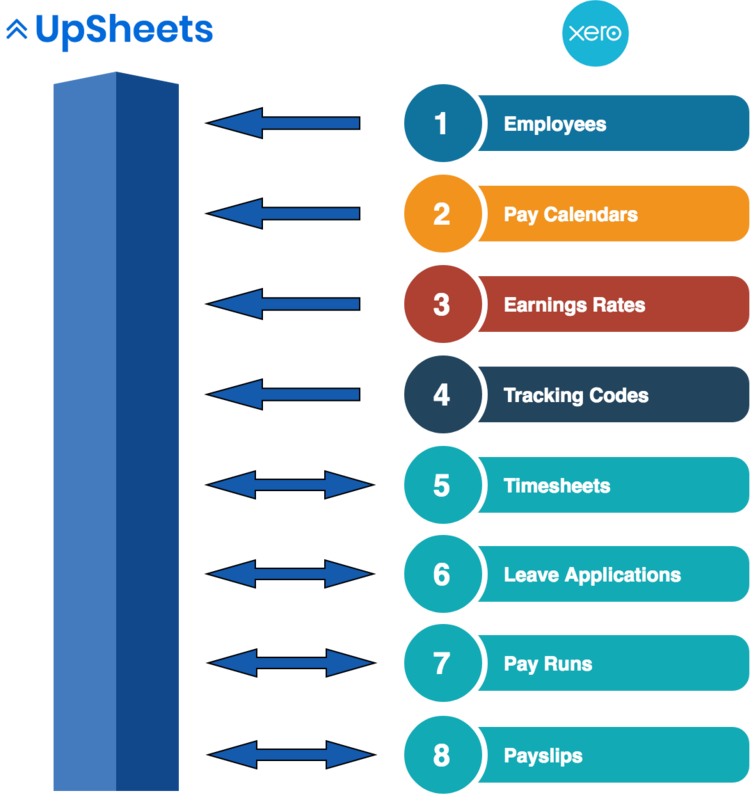 Once data is validated UpSheets creates/updates timesheets, Leave Applications and optionally Pay Runs/Payslips in Xero. UpSheets does not update or create any other data elements in Xero.